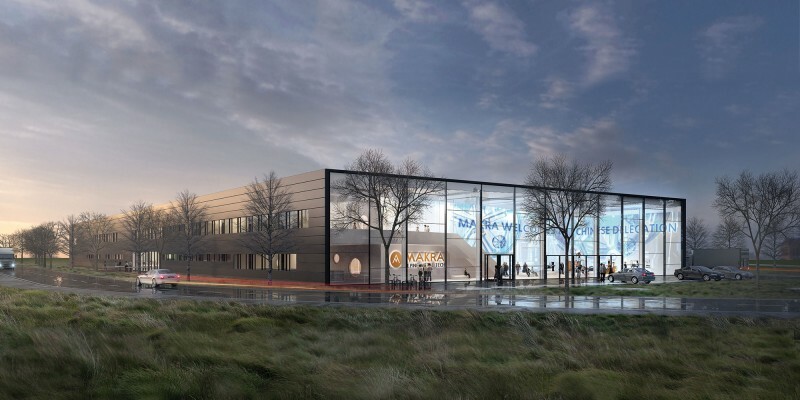 The new corporate design for the headquarter for Makra Alpine Metal Tech combines office and production spaces in a 100x48m building. 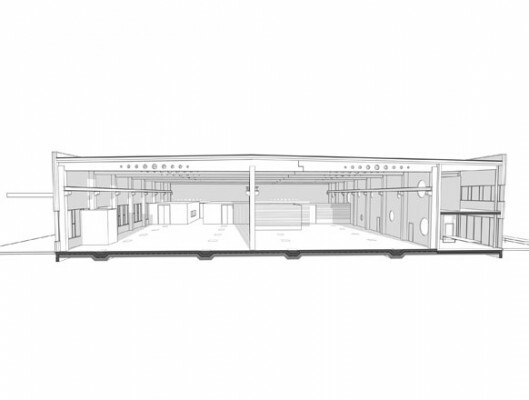 The main characteristic is the large glazed entrance which acts as a display window, while the remaining areas are planned in a more efficient industrial building construction with a simple yet elegant metal façade. 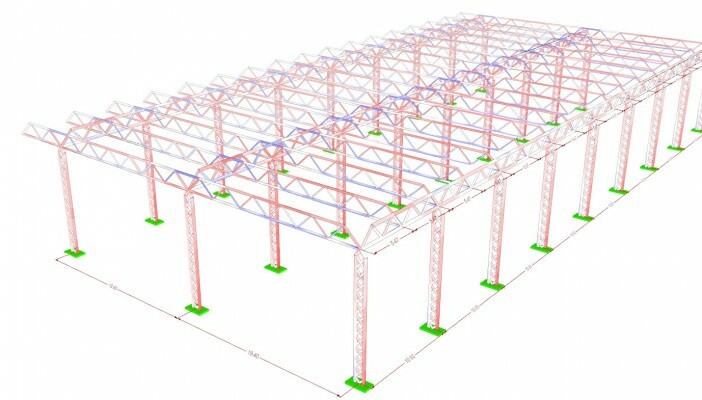 The main structure of the hall is planned as a prefabricated reinforced concrete framework. Across the hall span two main beams which together form a Gerber beam system and cantilever up to 6m above the office areas. 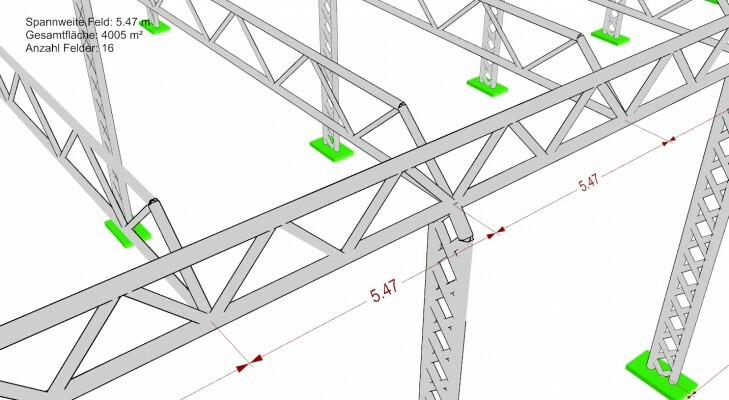 The beams are supported by a column grid with dimensions of 6.7 m. The structure of the entrance area and the presentation room is planned as a steel construction.